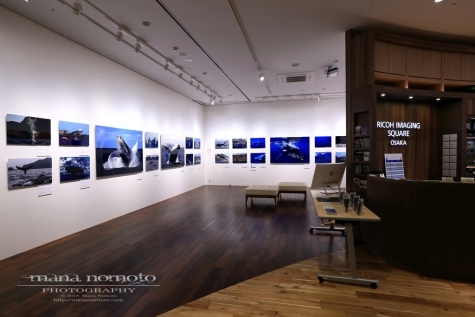 Mana Nomoto photo exhibition "Humpback Whale ～Paradise of the whale in Tokyo Metropolis～" will finally begin from today. At this photo exhibition, we created the world of humpback whale of the Bonin Islands in the valley of buildings in the big city Osaka, reproduced with brilliant color and overwhelming presence with special prints (metal prints), which is a new way of expressing pictures that will be becoming popular soon in Japan. Please come and see the exhibition! We are waiting for your visit.